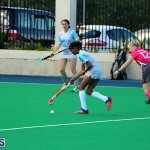 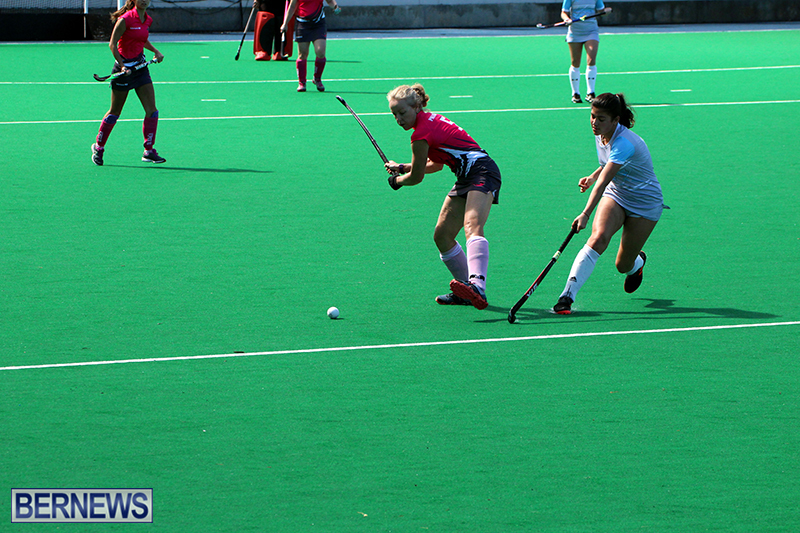 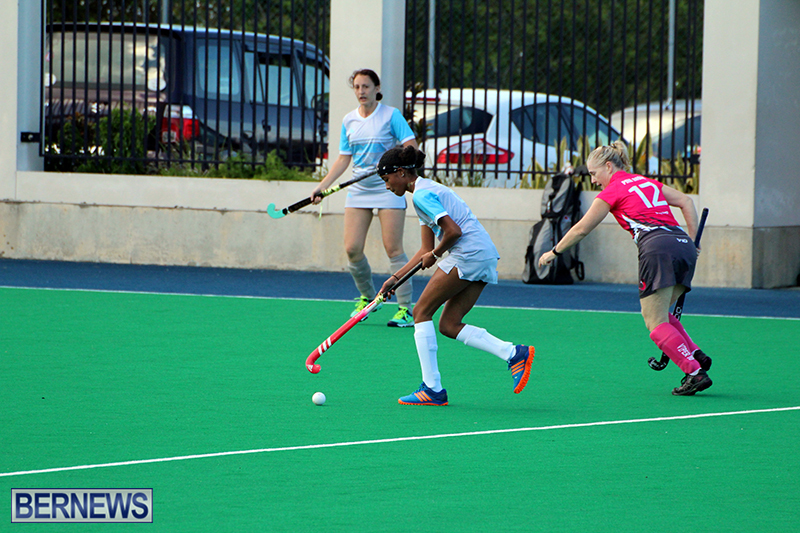 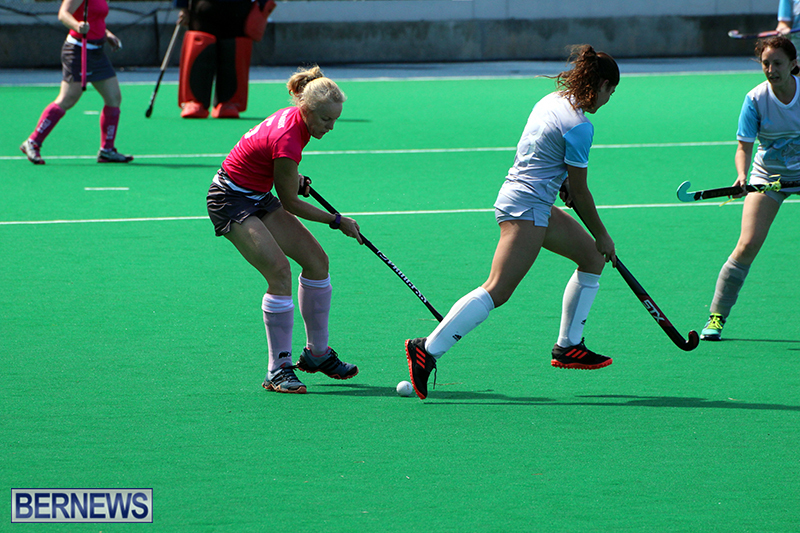 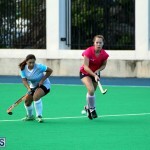 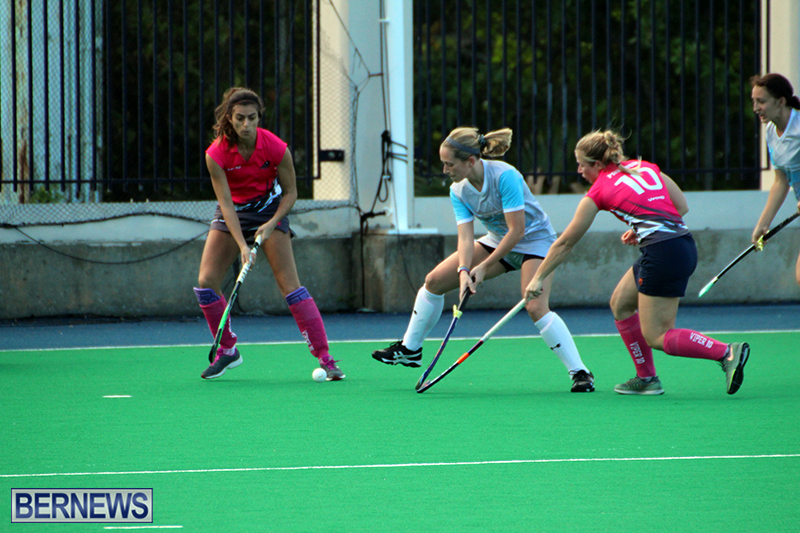 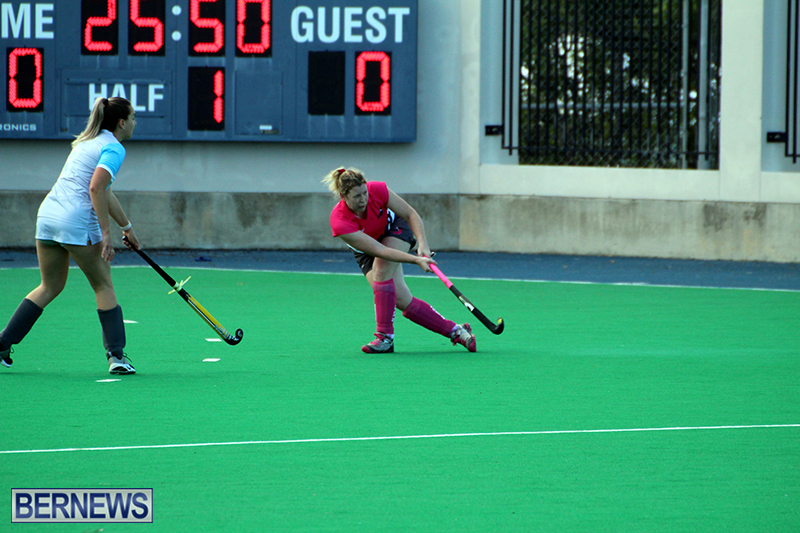 Fifteen goals in total were scored during a Bermuda Field Hockey double-header that took place at the National Sports Center. 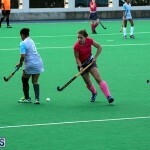 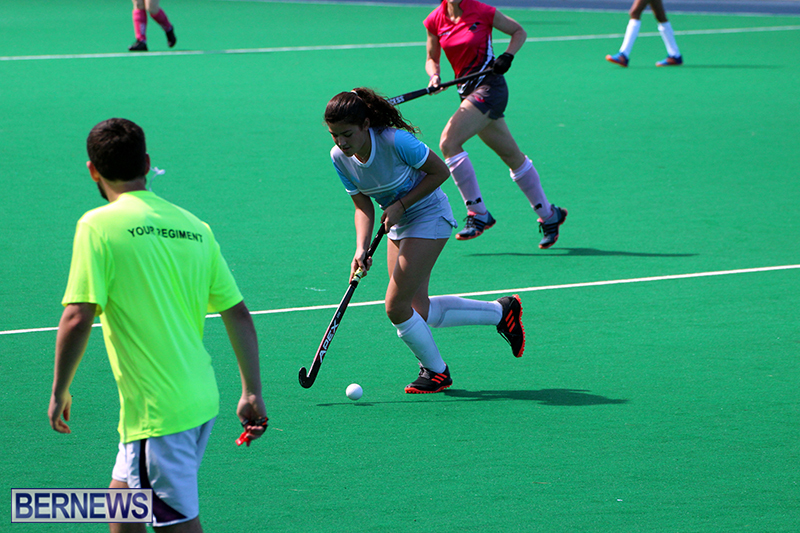 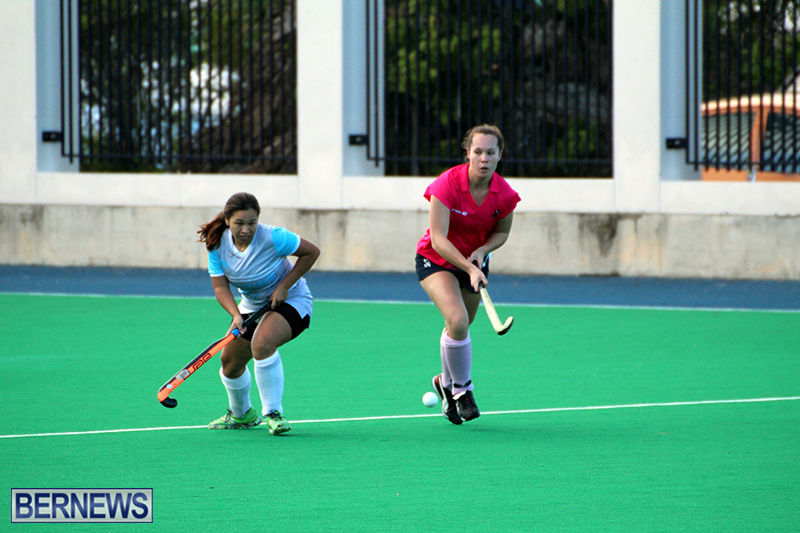 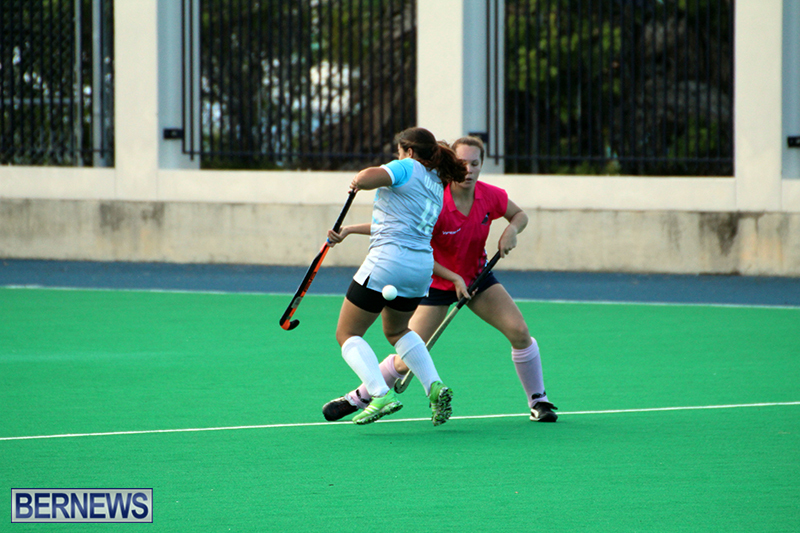 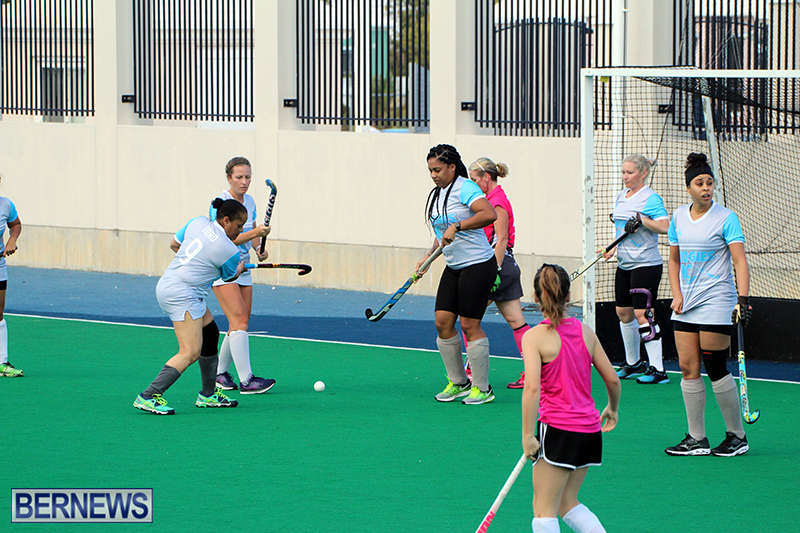 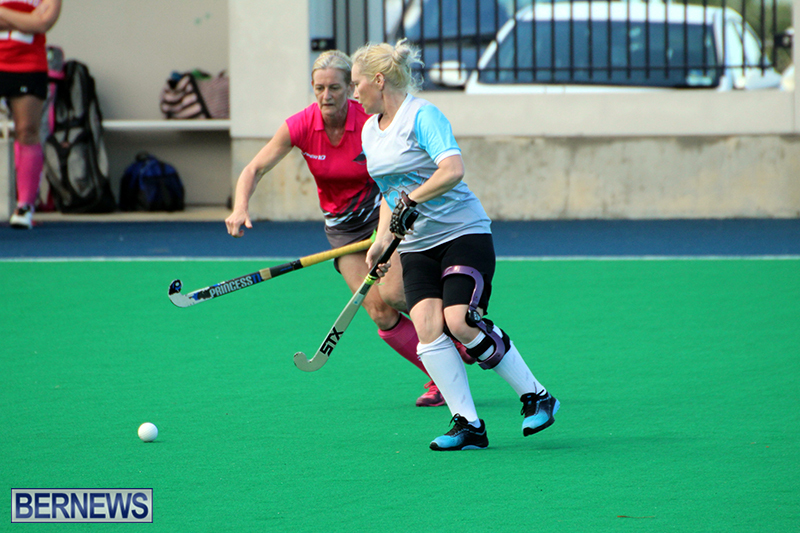 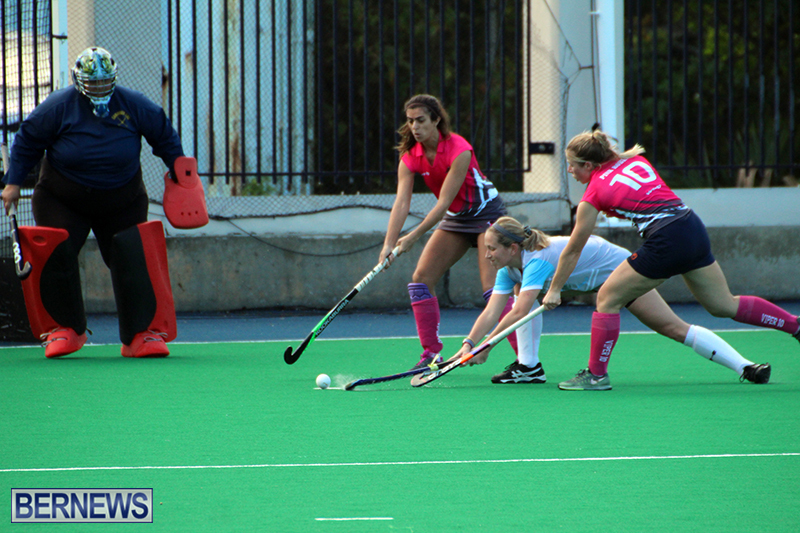 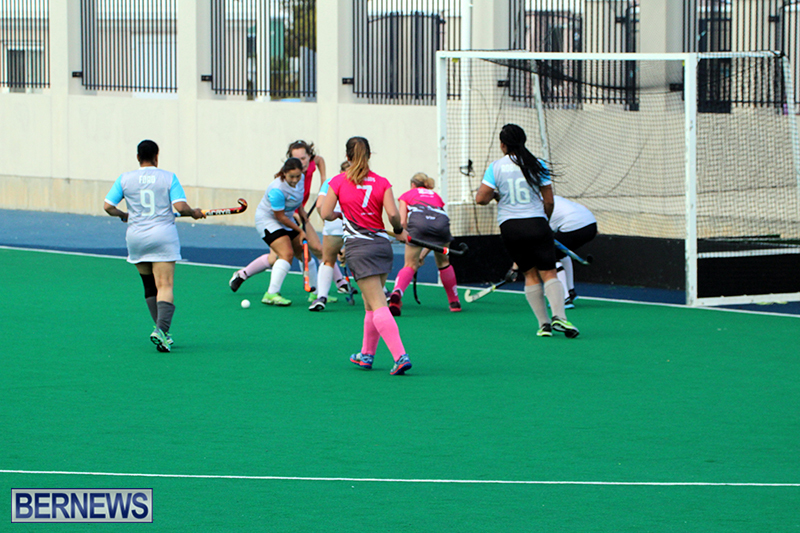 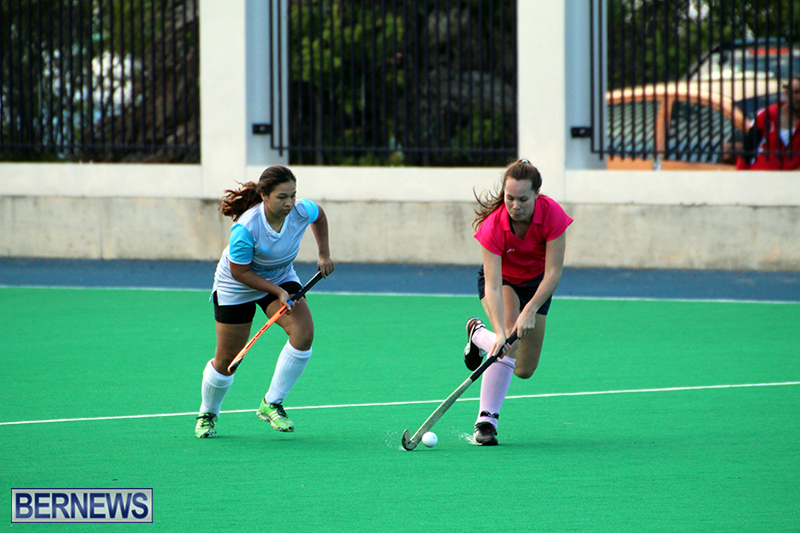 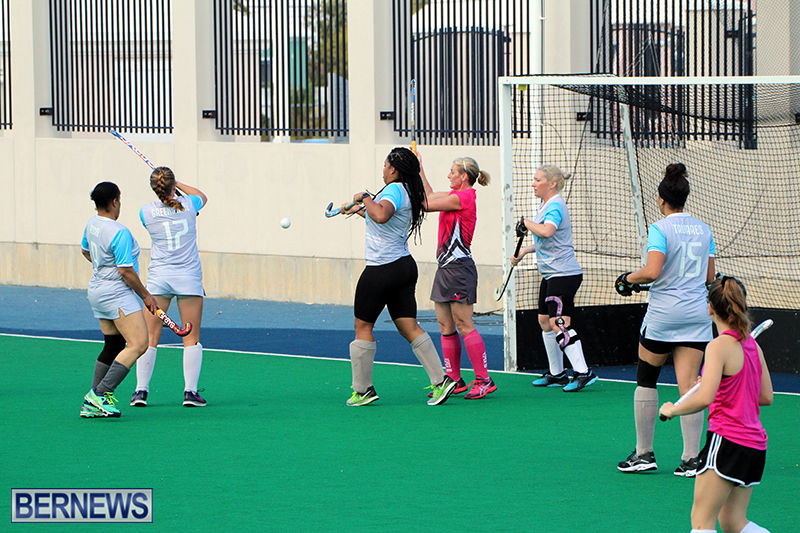 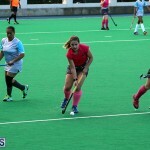 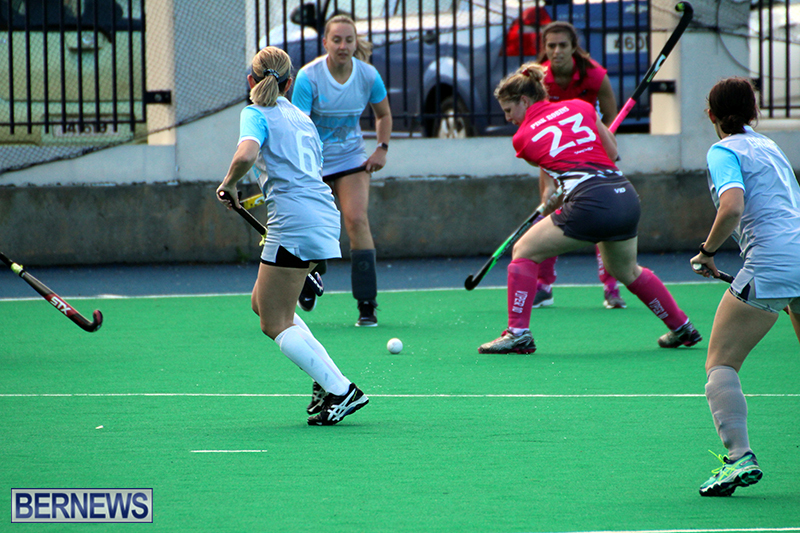 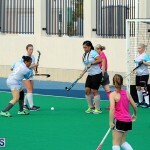 The Budgies came from two goals down to defeat the Pink Robins 3 – 2 at the National Sports Center in Bermuda Field Hockey action. 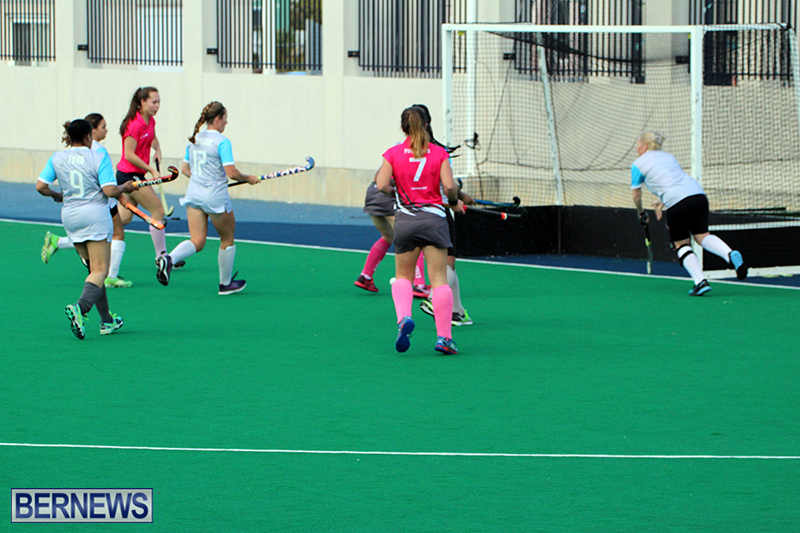 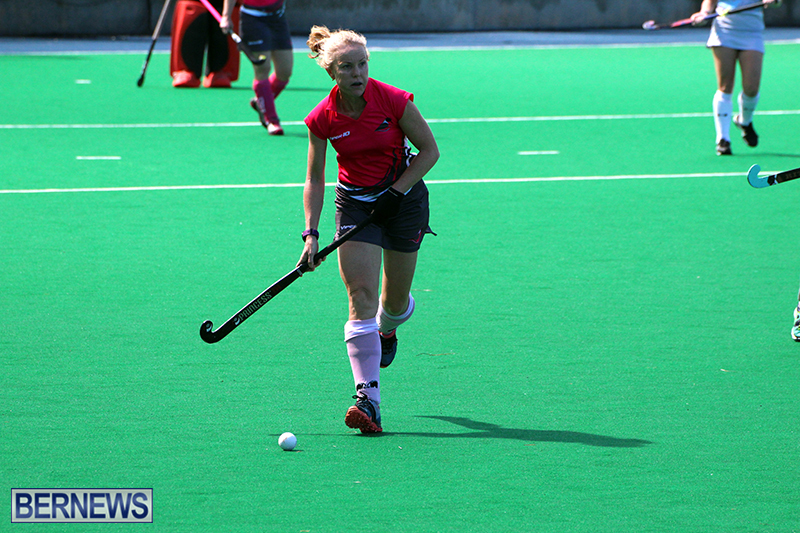 The Pink Robins took the lead in the 17th minute when Emma Ranger scored a field goal, Jo Heaney doubled the lead four minutes later with a field goal. 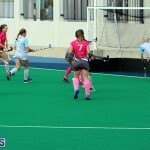 In the 30th minute the Budgies began their fight back as Georgia Thams scored a field goal. 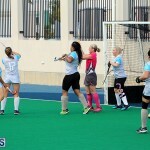 The Budgies drew level in the 40th minute when Francesca Cacace scored the game’s fourth field goal, and then in the 59th minute a penalty corner goal off the stick of Renee Greenslade earned the Budgies the win. 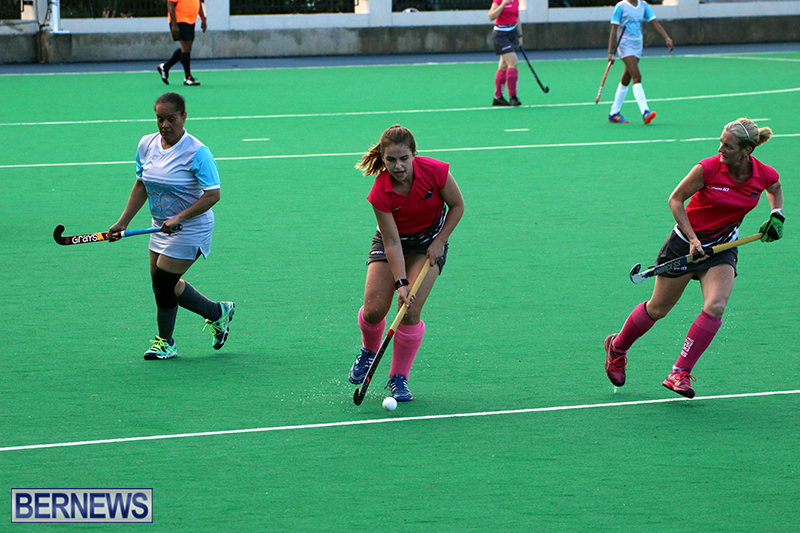 The Mixed A team scored four goals in the first half on their way to defeating the Canaries 7 – 3. 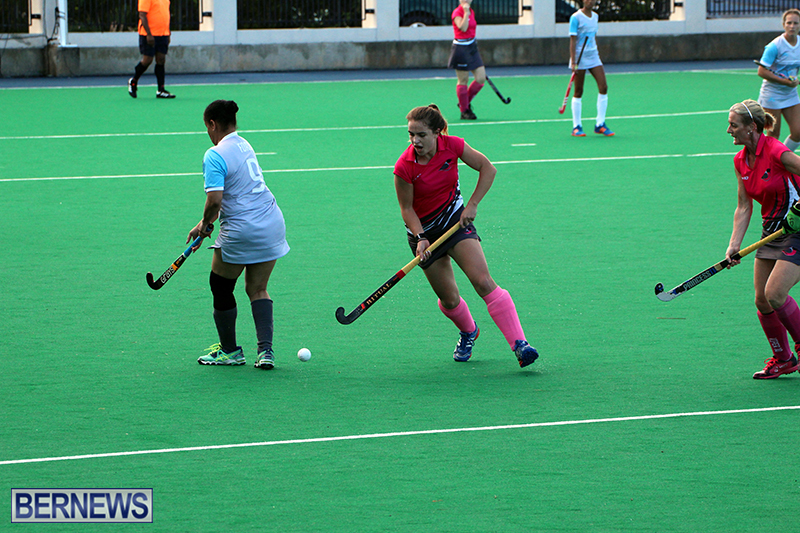 The Mixed A team got two goals from Jess Hollis and Tom Golidley, while Isabel Roe, Emma Ranger and Sebastian Van Den Berg all added a goal each. 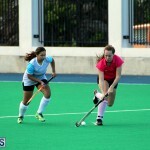 The Canaries got two goals off the stick of Jo Frith and a single strike from Grace Edy.